Resilient landscapes, as defined by The Nature Conservancy, preserve biodiversity and sustain natural strongholds. They help us endure and survive as humans. But they need care, maintenance and management in order to sustain these special qualities. Unspoiled open spaces and landscapes are part of our legacy to our children and grandchildren. We look at the resilient landscape through the lens of stories from Marblehead and Cape Ann which illustrate an ‘emotional geography' rooted in family, folklore and local histories. Our memories of places of our childhood root us to our beloved landscapes of the present. 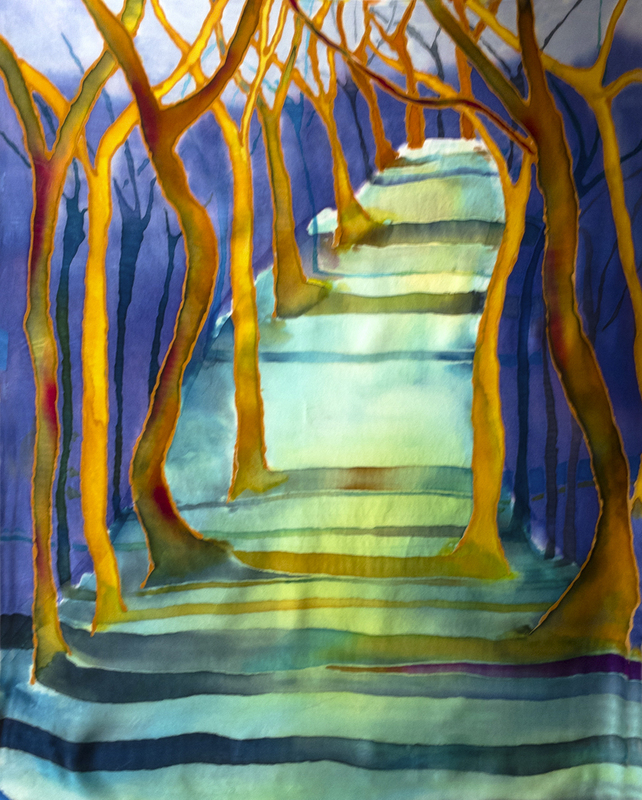 We will illustrate with silk paintings and photography many natural areas in both Marblehead and the Cape Ann quarries, which have deep meaning for some – but perhaps are secrets for others. Only through knowledge of our local natural areas can we truly appreciate the importance of conserving and maintaining these important areas; once lost to development, they are gone forever. 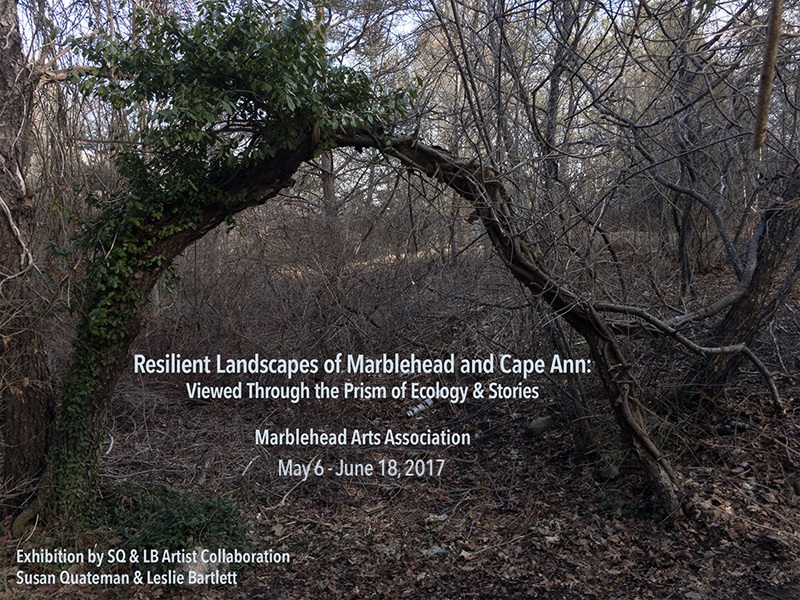 The Exhibit will include an afternoon of stories related to Marblehead and Cape Ann’s Natural Areas: Risks and Resilience, to be held at MAA, on May 21, 2017, 2 - 4 pm. Marblehead storyteller Judith Black, Leslie Bartlett and Susan Quateman will tell the stories.